Of all the Lou Reed tributes that have poured in since the rock legend's passing this fall, this is by far the most bizarre. Former child star Macaulay Culkin (of Home Alone fame) is currently playing in a pizza-themed Velvet Underground parody band called — you guessed it — the Pizza Underground. The New York-based ensemble's output currently consists of a demo medley that clocks in at almost nine minutes. It was recorded live at Culkin's house on November 11, and was uploaded to Bandcamp on December 2. 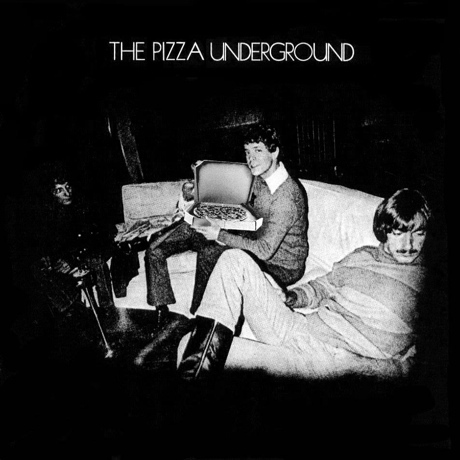 It consists of nine songs, including Velvet Underground tunes and Lou Reed solo cuts, with lyrics that have been rewritten to incorporate pizza references. Here are the songs from the medley: "Papa John Says," "I'm Beginning to Eat the Slice, "Pizza," "I'm Waiting for Delivery Man," "Cheese Days," "Pizza Day," "All the Pizza Parties," "Pizza Gal," and "Take a Bite of the Wild Slice." We won't spoil the surprise by telling you which Lou Reed songs these versions are based on, but the medley is well worth a listen. Culkin is credited with "percussion/kazoo/vocals." The five-piece also includes Phoebe Kreutz, Matt Colbourn, Deenah Vollmer and Austin Kilham. The group have posted various pizza-themed pieces of fan art on Facebook and Tumblr. They've performed a couple of times, including at an open mic and for a charitable Lou Reed tribute night. It seems that a mini-documentary is in the works.